Provides comprehensive supportive services to women and children victimized by physical and sexual violence. In November, 1994, voters of Idaho overwhelmingly ratified an amendment to the Idaho Constitution relating to victims’’ rights. The first bill I sponsored as Idaho's newly-elected attorney general was House Bill 175, which amended Idaho Code §19-5306 relating to victims’’ rights. The primary focus of that bill was to make statutory provisions for victims’’ rights which were consistent with the constitutional amendment passed by the people of Idaho. For too many years, the criminal justice system ignored the rights of crime victims. All of this changed with the amendment to the Idaho Constitution in November, 1994. It is important to note that the amendment is found in art. 1 of the Idaho Constitution, which is entitled "The Declaration of Rights." It is this portion of the constitution which enshrines those rights most treasured by Idahoans. Such rights include the right of free speech, the right of assembly, the right to a trial by jury, the right to keep and bear arms and, now, the rights of crime victims. I hope this manual will be of assistance to crime victims who find themselves bewildered by the criminal justice process. This manual may also be of assistance to prosecutors and judges who are struggling to implement the constitutional amendment and Idaho Code §19-5306. This manual does not cover all victim-related issues, only those dealing with procedural rights. Idaho law also addresses issues of victim compensation. Space does not allow for a discussion of victim compensation laws in this manual. For further information on victim compensation, please see title 19, chapter 53, Idaho Code, and title 72, chapter 10, Idaho Code. RELEVANT STATUTES CONSTITUTIONAL PROVISIONS –– IDAHO CONSTITUTION Art. 1, sec. 22. To be treated with fairness, respect, dignity and privacy throughout the criminal justice process. To timely disposition of the case. To prior notification of trial court, appellate and parole proceedings and, upon request, to information about the sentence, incarceration and release of the defendant. To be present at all criminal justice proceedings. To communicate with the prosecution. To be heard, upon request, at all criminal justice proceedings considering a plea of guilty, sentencing, incarceration or release of the defendant, unless manifest injustice would result. To restitution, as provided by law, from the person committing the offense that caused the victim's loss. To refuse an interview, ex parte contact, or other request by the defendant, or any other person acting on behalf of the defendant, unless such request is authorized by law. To read pre-sentence reports relating to the crime. To the same rights in juvenile proceedings, where the offense is a felony if committed by an adult, as guaranteed in this section, provided that access to the social history report shall be determined by statute. Nothing in this section shall be construed to authorize a court to dismiss a case, to set aside or void a finding of guilt or an acceptance of a plea of guilty, or to obtain appellate, habeas corpus, or other relief from any criminal judgment, for a violation of the provisions of this section; nor be construed as creating a cause of action for money damages, costs or attorney fees against the state, a county, a municipality, any agency, instrumentality or person; nor be construed as limiting any rights for victims previously conferred by statute. This section shall be self-enacting. The legislature shall have the power to enact laws to define, implement, preserve, and expand the rights guaranteed to victims in the provisions of this section. Rights of victim during investigation, prosecution and disposition of the crime. Notified whenever the defendant or suspect is released or escapes from custody. When release is ordered prior to final conviction, notice to the victim shall be given by the law enforcement authority from whose custody the defendant was released. When the release is granted subsequent to a final conviction, notice shall be given to the victim by the law enforcement authority from whose custody the defendant was released unless release is granted by the commission of pardons and parole, in which case the commission shall notify the victim. When a release on probation is being considered following a period of retained jurisdiction, notice of the hearing shall be given to the victim by the prosecuting attorney. Upon the filing of a criminal complaint or juvenile petition, the prosecuting attorney shall inform the victim of the various opportunities provided by this section. The victim may exercise any of the rights provided by this section by completing a written request on a form provided by the prosecuting attorney to the clerk of the district court. The clerk thereafter shall notify the appropriate authorities of the victim’s requests. Notice thereafter shall be given to the victim at the address provided unless the victim subsequently provides a different address. The victim’s address shall be kept confidential by the court except for carrying out the provisions of this chapter. The provisions of this section shall apply equally to the immediate families of homicide victims or immediate families of victims of such youthful age or incapacity as precludes them from exercising these rights personally. The court may designate a representative from the immediate family to exercise these rights on behalf of a deceased, incapacitated, or minor victim. Nothing in this section shall be construed to authorize a court to dismiss a case, to set aside or void a finding of guilt or an acceptance of a plea of guilty, or to obtain appellate, habeas corpus, or other relief from any criminal judgment, for a violation of the provisions of this section; nor be construed as creating a cause of action for money damages, costs or attorney’s fees against the state, a county, a municipality, any agency, instrumentality or person; nor be construed as limiting any rights for victims previously conferred by statute; nor be construed to require the court appointment of legal counsel or the payment of transportation costs. "Juvenile offense" is charged conduct that is a violation of law that brings a juvenile within the purview of title 20, chapter 5, Idaho Code, and which conduct committed by a juvenile would be a felony if committed by an adult. I.R.C.R. 16(b)(6) does not entitle a defendant or his agent contact with victims or witnesses of an alleged crime. In fact, such victims and witnesses may constitutionally refuse such an interview unless otherwise required by law. LaBelle v. State, 130 Idaho 115, 937 P.2d 427 (Ct. App. 1997). 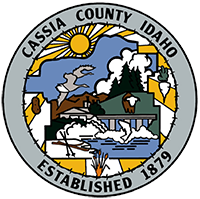 The right of a crime victim to address the court at the offender's sentencing hearing is guaranteed by both Idaho's constitution and statutory law. State v. Guerrero, 130 Idaho 311, 940 P.2d at 419 (Ct. App. 1997). Murder defendant's counsel was not ineffective for failing to object to statements by the victim's father in the pre-sentence report concerning impact of the crime. Such statements by a victim are allowed under this section and immediate family members of a minor are included in the definition of a victim. Fodge v. State, 125 Idaho 882, 876 P.2d 164 (Ct. Ap. 1994). A sentencing judge may properly conduct an inquiry broad in scope, largely unlimited, either as to the kind of information he may consider or the source from which it may come. State v. Chapman, 120 Idaho 466, 816 P.2d 1023 (Ct. App. 1991), aff’d, 121 Idaho 351, 825 P.2d 74 (1992). In the absence of the death penalty, a sentencing court may properly consider any victim impact statements contained in a pre-sentence report during sentencing and a district judge's inquiry into the status of the victim is not inconsistent with the purpose and goals of criminal sentencing procedures. State v. Bivens, 119 Idaho 119, 803 P.2d 1025 (Ct. App. 1991). The sentencing court did not err by denying defendant's motion to strike the victim impact statement when it imposed a fixed life prison term for first degree murder. State v. Searcy, 118 Idaho 632, 798 P.2d 914 (1990), modified on other grounds, 124 Idaho 107, 856 P.2d 897 (Ct. App. 1993); 120 Idaho 882, 820 P.2d 1239 (Ct. App. 1991). The district court properly exercised its discretion in denying a vehicular manslaughter defendant's motion to strike from the presentence report the statements of the two girls who were injured in the auto accident which killed victim, and the statements of the girls’’ parents. State v. Wersland, 125 Idaho 499, 873 P.2d 144 (1994).